After I had Liam, Andrew asked me what I wanted for Mother’s Day that year. I had a 3 month old baby. I was exhausted and still didn’t feel remotely like myself. I told him I wanted a day to myself to do whatever I wanted. I went to a barre class, got a massage, came home, did a face mask, took a shower, and laid in bed watching Netflix. Then I missed my boys and made them hang out with me. Since then I have done the same thing for my birthday and Mother’s Day in the following years. For those that may be wondering what to ask for for Mother’s Day, or if you just need a really great ideal self-care day. I am sharing mine. My ideal self-care day would start one of two ways depending on how I am that day. I would either wake up really early or be able to lay in bed for a little while. I never get to do that. In fact since we had Liam the only time I have leisurely woken up was on our trip to Florida last summer. I would have breakfast, get dressed, meditate (I use Headspace), and head to a yoga or barre class. I find both to be very calming and they are my favorite classes to take. Once I am done with a workout I would go get a mani/pedi and have an extra long foot rub and should rub which I rarely treat myself to. If money is no object I would also go get an 80 minute massage. Then I would get a latte from Starbucks, come home, take a shower, do a face mask, and get in bed. I would spend the rest of the day catching up on all the TV I am usually super behind on or binge a new show. I would also read and spend time under my weighted blanket (my favorite way to relax). I truly think self-care encompasses all forms of health (mental, physical, emotional, spiritual). So a self-care day needs to make you feel whole in every aspect at least for me it does. 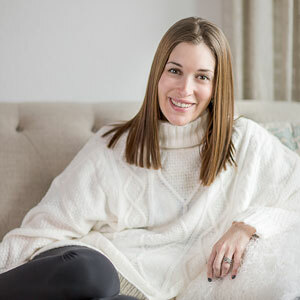 I would love to know how you would spend an ideal self-care day. This sounds like a perfect day! My ideal self-care day would be sleeping all day. I never get enough sleep..
My ideal self care day would be a full day spa day. Facial, massage, mani/pedi, lunch all while hanging out in a spa bathrobe and then coming home to a quiet house and reading, uninterrupted for an hour. For me it would be a day alone, without interruptions and just doing whatever I wanted to. Even if that means just sitting in front of the TV all day! A good pedicure and a long massage definitely sounds amazing! I do the same, have days to myself now and then but then miss my husband and boys so end up with them by the end of the day too. I need a good full day of self care. I get my daily self care in with working out daily but sometimes I need a bit more! My ideal self care day would be to get as much as I need. I would love to have the time to pray and meditate. Then a good well balanced breakfast. I would also love to get a chance to read and write. I would just get a massage…. a long one! My ideal day starts with a very (very) slow start to the morning. Just roll out of bed at noon kind of morning. Nothing on the schedule, nothing on my to-do list, just very chill. 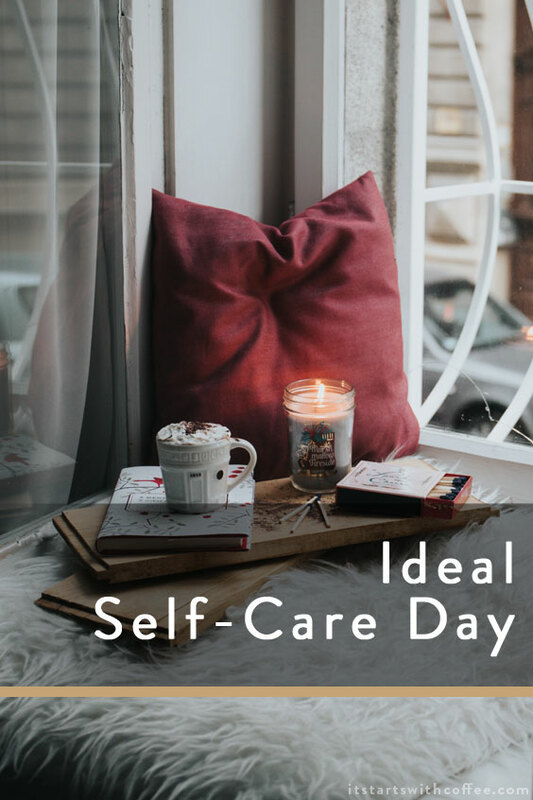 My ideal self care day would be very similar to yours. Instead of stopping in at Starbucks, I would stop at one of my favourite cafes for a green juice and burrito bowl! That sounds great! Thanks for the ideas! Oh my gosh your day sounds absolutely lovely. I would probably spend all day in bed with oils diffusing and a good book in my hands. Well, I think you just described the perfect day- add a few donuts to the mix and I’m sold! Just might have to make tomorrow a self-care day for me! Not sure that this would apply to me but it sounds relaxing. I have ideas for my spouse now. I think it is so important for mothers to do acts of self care often. How wonderful you are able to do all that! I could do with a self care day… but I think it’s unlikely to happen. Mine would involve a spa and lots of healthy food, prepared by someone else! As a woman, a mom and a person in our day in age self care is so very important. We tend to go and go and go til we burn out. Great post! I’m bookmarking this for days I forget. I would love a weighted blanket. I hear it is just amazing for anxiety! Good for you for putting YOU first! This sounds like a heavenly way to spend a day. I love having alone time, especially when it involves a latte! Every day is a self-care day for me. I have adopted some self-care habits that made me a happy and positive person. We should dedicate some hours in a day for ourself.